The cultivation and brewing of tea in India has a long history of applications in traditional systems of medicine and for consumption. The consumption of tea in India was first clearly documented in the Ramayana (750-500 BC). Research shows that tea is indigenous to eastern and northern India, and was cultivated and consumed there for thousands of years. However, commercial production of tea in India did not begin until the arrival of the British East India Company, at which point large tracts of land were converted for mass tea production. Today, India is one of the largest tea producers in the world, though over 70% of the tea is consumed within India itself. 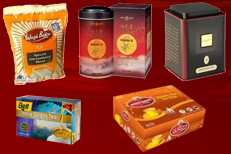 A number of renown teas, such as Darjeeling, also grow exclusively in India.